Should I Stage My Luxury Home? 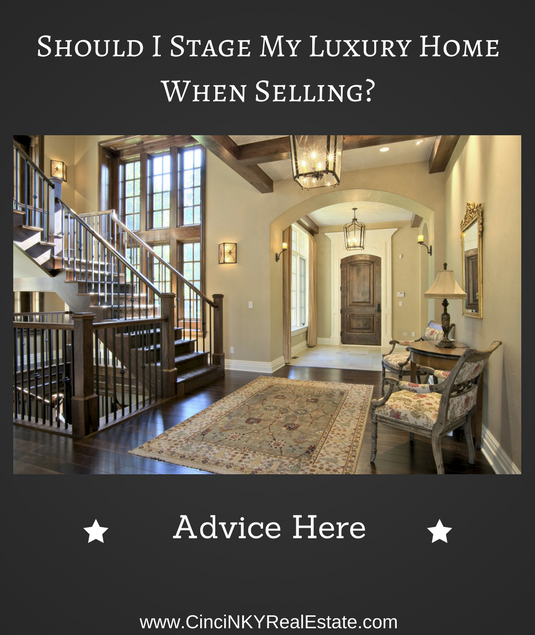 Should I Stage My Luxury Home When Selling? Should I Stage My Luxury Home When Putting It Up For Sale? Luxury homeowners may wonder if it makes sense to stage their luxury home when putting it up for sale. For homes in need of it, staging of a home can boost buyer interest and can result in a better or faster offer on a home than one that is not staged. The primary benefit from staging comes from the fact that the product being sold (a luxury home in this case) has its presentation elevated in order to make it more appealing to luxury homebuyers. Just as with anything to be sold and that requires great marketing, a better looking home will sell easier than the same home if it were not staged. To determine whether staging is right for your luxury home it helps to start with exploring what home staging actually is. Home staging covers a variety of aspects of a home. It can address paint colors, furniture choice as well as placement, décor pieces, wall art and more. The goal behind home staging is to make the home more appealing to home buyers. While most of the furniture and staging items used during the process of selling a home will not stay with the home the idea is to give homebuyers a better idea of the potential of the home and make it look more appealing at the same time. Home staging calls for neutral colors so that buyers are less distracted by colors that don’t meet their expectations and instead lets them envision the home as they would be living in it. Furniture is a big element of staging since humans spend much of their waking time interacting in some way with furniture in and around their homes. If a home’s furniture looks relaxing and inviting, buyers are more likely to come away with a positive view of that home as compared to the home where too much or improperly placed furniture brings to mind cramped uncomfortable spaces. Lighting also plays into the moods of rooms. Dark rooms don’t feel as inviting as well lit rooms do whether it is due to window coverings that don’t allow enough light in the room or underpowered lighting. Homebuyers will appreciate well lit rooms and be more likely to buy a home that does not have issues with lighting quality. What Home Staging Ideas Should Luxury Homeowners Consider? 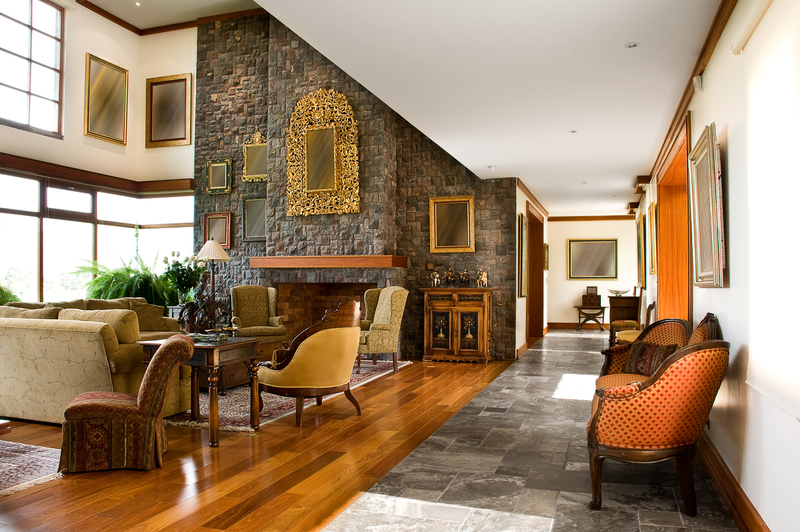 There are steps luxury homeowners can take on their own and that can have great impact on the showing of a home. One of the first things a luxury home seller should address is clutter. Whether there are too many kids’ toys, too many pet toys, unique collectibles or something else, by reducing clutter the amount of open space in the home increases. Especially when it comes to unique or valuable collectibles it just makes sense to pack them up and put them away since it is part of the clutter reduction process and it also makes sure those items remained untouched when homebuyers come through to tour the home. Clutter is distracting to buyers and even more so if it is something unique or interesting the buyers are more likely to look at those items and ignore what the actual home looks like. Do your home’s marketability a favor by taking the clutter out of the home so it is out of sight and out of the buyer’s mind. If painting will be done to the luxury home prior to putting it on the market this is the time to check what the latest and greatest popular neutral colors are and plan on having the home painted with that color. Unique and overly customized paint colors may have worked great while you lived there, but now is the time to sell the home so it is better to have neutral colors that buyers can live with. If luxury homebuyers believe the colors are not for them or would clash with their décor a potential buyer could be lost. When selling a house having more buyers who are interested in possibly making an offer means not only will offers come in faster but they will also come in close to the desired price to sell the home. Furniture is another one of those areas where the right furniture in the right location can help show the true purpose of a room. Oversized furniture or too much furniture can make rooms look small. Even furniture color and condition has a part to play in the setting of a home. Old furniture with worn colors can make the buyers feel like the overall home is worn and outdated thus making them less likely to buy. Luxury homeowners as a result should make sure to remove furniture in areas where there is too much as it is and if the furniture is old they should consider removing that as well and replacing it with a staging piece in order to bring out the best a home can show. Some homes because of the way the owners live may not need any staging at all as they already have a minimalist and functional design and everything in the home is present for a reason. On the other hand homes which don’t necessarily have that staged look could definitely benefit from home staging. On the simpler side a luxury homeowner can hire a home stager to look at the current setting of their home and give input to what changes can be done with everything the way it currently is. Usually for a flat fee many home stagers offer in home consulting where they can provide tips and advice on paint colors, furniture placement, décor adjustments, lighting and more. More than just serving as a consultant, many home stagers can bring in furniture and décor to improve the look of a home to buyers. Often times these home stagers have a warehouse with furniture that they rent out on a monthly basis to home sellers so their home can look the best. Home can staging help with the time on market in that with staged homes they spend fewer days on market compared to un-staged homes. Additionally staged homes often sell for more than an equivalent un-staged home would sell for. So the benefit of hiring a stager and renting furniture for staging can provide a big return on investment to homeowners who are looking to sell fast and get the most money from the sale. Many larger real estate markets should have more than one home stager to choose from so it would be of benefit to not only compare rates of the local stagers but to also see examples of homes they staged to see if they are truly making a difference. Especially with a luxury home and the higher purchase price a staged home will appeal to the luxury homebuyer who is not only looking for a home to live in but one that will look great as well when properly furnished. What better way to show off your luxury home to potential homebuyers than by having it professionally staged. Basic home staging can easily be done by anyone prior to getting their home ready for sale. Luxury homeowners can benefit by having a home stager provide a staging consultation in order to determine what changes with existing furniture and décor can make the biggest impact. Considering the value involved with luxury homes, homeowners may find full home staging a worthy investment that should not only help their home sell faster but also for more than if left un-staged in the current un-staged condition. About the author: The above article “Should I Stage My Luxury Home?” was provided by Luxury Real Estate Specialist Paul Sian. Paul can be reached at paul@CinciNKYRealEstate.com or by phone at 513-560-8002. 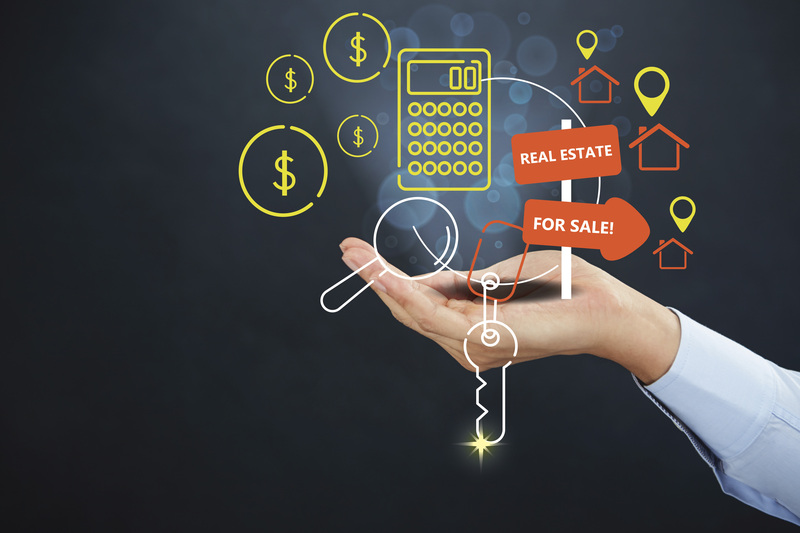 If you’re thinking of selling or buying your investment or commercial business property I would love to share my marketing knowledge and expertise to help you. Contact me today!